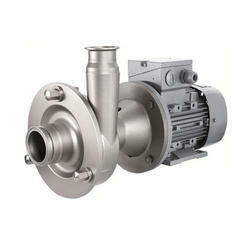 Manufacturer of a wide range of products which include hygienic steel pumps. We are the leading Manufacturer and Exporter of Hygienic Steel Pumps and our product is made of good quality. These are commonly used in purifying and transmitting the gases. We offer the product at an industry leading price. Capable of holding maximum properties of solid.